Light haulage, Gloucestershire - Cirencester - Swindon - Cheltenham. Our light haulage services include collection and delivery of everything from small pallets, to loads requiring tail lifts. We can also provide an on-going light haulage service where we would collect and deliver your items as often as your business requires. When Specialist Lifting Solutions undertakes a light haulage delivery job, the upmost care is taken to ensure the safe delivery of the goods wherever the nationwide location. We can provide you with a reliable and professional delivery service that cares about both your corporate image and your goods. 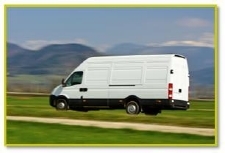 Do you need something collected or delivered, large or small, and want the peace of mind? With Specialist Lifting Solutions Ltd, your items will be treated with due care and attention throughout its journey from A to B, without being offloaded at various depots en route. You can also call our dedicated light haulage team at any time in order to track where and when your item is at any given time. Collecting and delivering throughout the UK, Specialist Lifting Solutions are able to tailor a light haulage solution to meet all your delivery requirements.